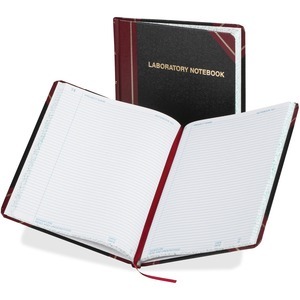 Permanently bound, hardcover lab book features a design ideal for laboratory record-keeping. Section thread-sewn books lie flat when open, and pages will not come apart. Numbered pages are printed in waterproof and permanent inks. Each page has 37 lines. Fabrihide cover with red corners and spine protect the premium white, acid-free paper. 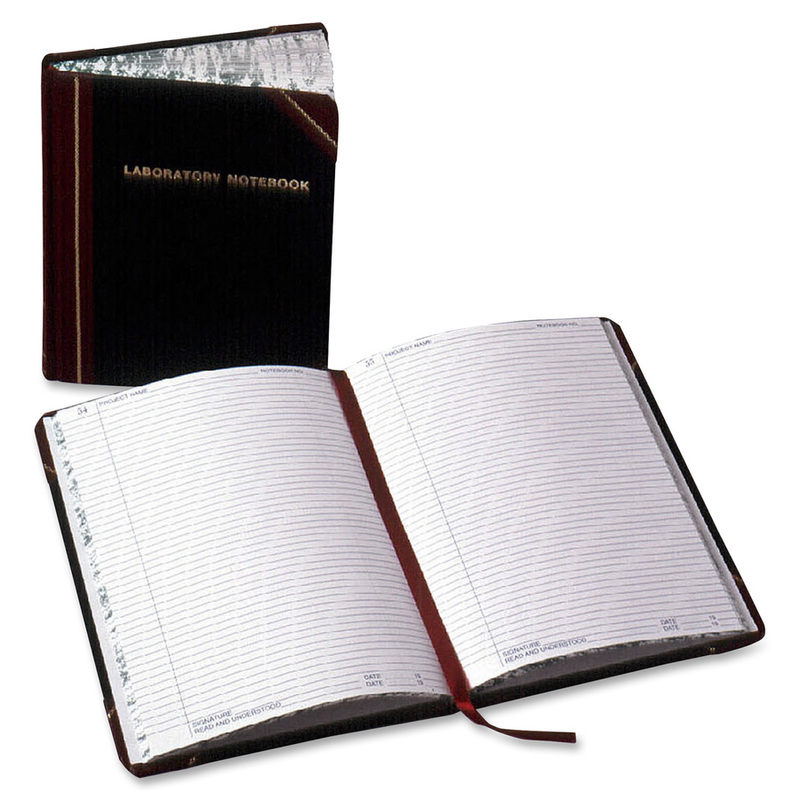 Notebook includes a place marker ribbon, table of contents, identification page, printed date, signature and witness section on each page, and instructions on how to keep accurate, legal records. Sheet Size 8 1/8" x 10 3/8"